Caldron Lake Beautiful lake above Peyto lake. Start at the viewing platform and continue downhill heading west to the beginning of the lake. Continue toward the creek, cross it at the bridge. From there you will see a trail going up to Caldron Lake. If you continue on the moraine, there will be another beautiful viewpoint on Peyto Glacier. Sentinel Pass-Larch Valley Walk up into gorgeous Larch Valley. Walk through the valley and you will see between Mt Tempel and Pinnacle Mountain Sentinel Pass from which you will have a view on the 10 Peaks and into Paradise Valley. Just walk for another 100 meters on this pass towards Mt Tempel to get the best view ever. Iceline At the hostel find the trailhead going right into the forest and onto the ridge line, an ancient moraine. Some people walk to the highest point to have a great overview of Takkakaw Falls and behind the Wapta and Waputik glaciers as well as the President’s glacier. Skoki Lodge is one of the oldest lodges in the Park. Walk from the Skoki parking lot on this forest road and pass the Lake Louise ski slopes into this great valley. Walk up Boulder Pass for an exciting view onto Ptarmigan Peak and the panorama. Walk around the lake until you will see the trail over Deception Pass. Now it is just a short stroll to walk to Skoki. Healy Pass Its trailhead is behind the Sunshine Ski hill gondola. It goes through quite a bit of forest with enough clearings to make this trail very enjoyable. The walk to the pass is fantastic and if you are at the right time in a sea of wild flowers. The gorgeous views from the pass are definitely worthwhile one of the big panoramas in the park. 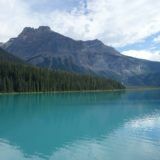 Lake Bourgeau is just next to Banff and one of the 4 star hikes. It goes over very diverse terrain. Your will have to cross two waterfalls . The last one has no bridge but there are exciting options. Finally at the top of the last waterfall the valley opens as you approach the lake. The best views although are from a point a little higher up to the North of this valley. Walk up to the second lake and go South on the ridge for a grea t panorama. Cory-Edith Pass is a steep but very rewarding hike. It climbs up immediately but you will have views into the Bow valley instantly. At a certain point you will be following a ridge and then walk underneath wild Mt Edith slopes to the pass. The best view is 20 meters South from the pass on the ridge into the hidden valley. Sulpher Mt from the Back Many people experience Sulphur Mountain from the gondola, some walk up underneath the gondola and I cannot blame them if they never walk up a mountain again. The best way is the trail from the back of Sulphur Mountain as you will have views and sun all the way to the top. It is easy to find walk past the Cave and Basin and keep walking until the last turn before the Canyon. This is a trail intersection and select the one going uphill to your left. Keep your right at different other trail intersections to the top. Chester Lake is an easy walk from the big parking lot. Once at the lake enjoy the panorama and should you want to get the best of it, take this trail going from the shoreline left into the woods. It leads to a boulder field and finally above treeline. The best view is from this area. Highline around lake O’Hara this is the best of the best of the best. If you are lucky you have a bus ticket to Lake O’Hara. The trailhead is close to the warden cabin and goes up above treeline circling around the lake. Sightseeing day planner What and how much sightseeing can be done in a full day? 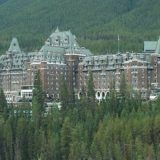 Day A : Bow Falls, Banff Springs Hotel, Sulphur Mountain, Hoodoos, Cave and Basin, Marsh Loop, Fenland Trail, Vermilion Lakes. (ev. Walk to Sundance Canyon). Day B: Ruins and story of the city of Bankhead, Johnston Lake, Two Jack Lake with exciting view on Mt Rundle, Lake Minnewanka, Stewart Canyon, Mt Norquay Lookout, Johnston Canyon (Inkpots), Fireweeds, Marble Canyon, Paint Pots, walk to the toe of Stanley Glacier. Day C: Canmore, Kananaskis Country loop, Chester Lake and its breathtaking view, Upper Kananaskis Lake, Boundary Ranch, Grotto Canyon. Day D: Healy Pass (20 km return)or Harvey Pass (20 km return) – two of the best panoramas in the Park. 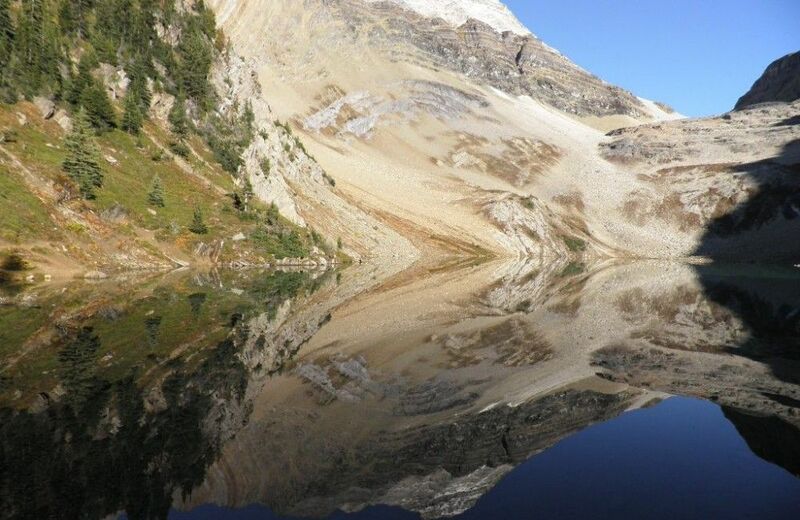 Day E: Mountain Bike to Shadow Lake, admire Mt Ball’s vertical slopes rising out of the lake, waterfalls, glacier, round-trip possible over Whistling Pass and along Red Earth Creek. Day F: Beautiful Moraine Lake, Larch Valley, Sentinel Pass – a close-up on the 10 peaks’ panorama and Paradise Valley dominated by 3 of the highest peaks in the Park or hike to amazing Eiffel Lake. Day G: Lake Louise – Victoria Glacier, visit Plain of 6 Glaciers’ Teahouse and Lake Agnes Teahouse. 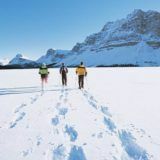 Day H: Lake O’Hara, Lake Oesa or Opbin Lake, the best of the best of the best ever …, “The perfect mountain scenery for the perfect mountain movie”. Day J: Takakkaw Falls and Iceline Trail, exceptional views on the Presidential Range and their glaciers. One of the most beautiful trails in the Park. Day K: Skoki Lodge – historic lodge, beautiful walk, top views, amazing Ptarmigan Lake. Day L: Helen Lake – one of the best panoramas ever: glaciers, lakes, waterfalls and meadows – lots and lots of wildflowers in season swirling around you, breathtaking. 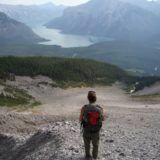 Day M: Peyto Lake, the view from the outlook cannot be beaten, walk to Caldron Lake or hike through the canyon to the foot of Peyto Glacier with views on Mt Peyto, Mt Thompson and Mt Baker. Day N: Flo Lake is one of the “magic” places in the Park. It is located at the beginning of the legendary Rockwall Trail, one of Canada’s most awesome trails, truly a “MUST” see. When I was there last time, yellow larch trees, small glaciers and this amazing mountain face were mirrored in the dark blue lake … an overwhelming experience I tried to capture all in a picture but to no avail. To view the best of the 45 pictures I took please check out our facebook page under Blue Mountain Lodge (September 2012). Don’t hesitate to ask us for more information about the different options. Banff is the jewel of the Canadian Rockies. We suggest planning enough time in the area to visit Lake Louise and the Teahouses, Moraine Lake and Larch Valley (in September this valley is covered in yellow larches surrounded by ten snow-covered mountain peaks), Johnston Canyon (but don’t miss out the magic of the Inkpots as many people do), and the Minnewanka Loop (3 lakes, each more beautiful than the other. 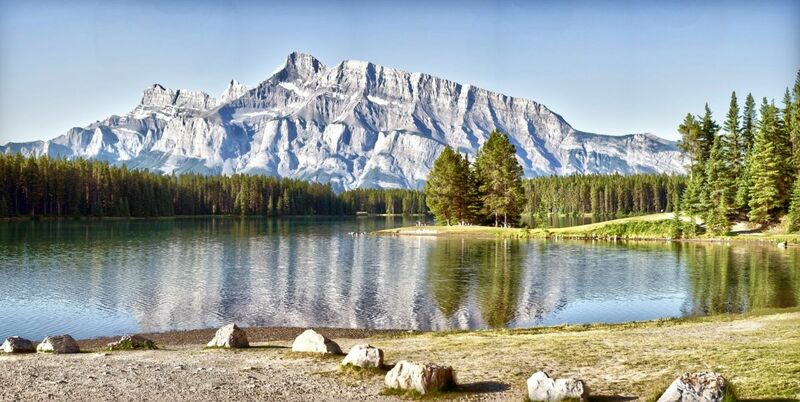 If you are lucky Mt Rundle is mirrored in Two Jack Lake). 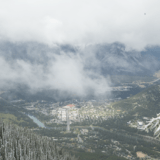 One of Banff’s main tourist attractions, the Gondola, takes you to the top of Sulphur Mountain, or, for the more adventurous, you can hike up one side of Sulphur Mountain and down the other. An amazing but less well known Canyon is Marble Canyon. Here you can learn the history of the Ocre Beds and Paint Pots and, at the Fireweeds, why fire is so important for the Park. You can also visit the Cave and Basin (the site of the founding of the National Park) and walk around the Marshlands and Fenlands to observe wildlife, or visit the Upper Hot Springs for a dip in the mineral pool. The impressive Bow Falls are just behind the Banff Springs Hotel, a National Historic Site you can visit for free . . . unless you decide to treat yourself to a cocktail at the fabulous Rundle Lounge with its million dollar view. We have hiking and street maps at the lodge and we can give you many recommendations about the different trails and activities to fully enjoy the National Park. 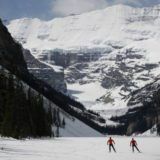 The Glacier Trail will take you to impressive lakes, canyons, mountains, waterfalls and the famous Columbia Icefields. Should you be “into” glacier hikes you can visit Stanley Glacier (5km) and why not hike up to Bow Glacier (7km) or Peyto Glacier (10km). 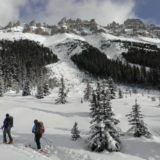 One of the very best hikes to see glaciers is going on the “Iceline” in Yoho. 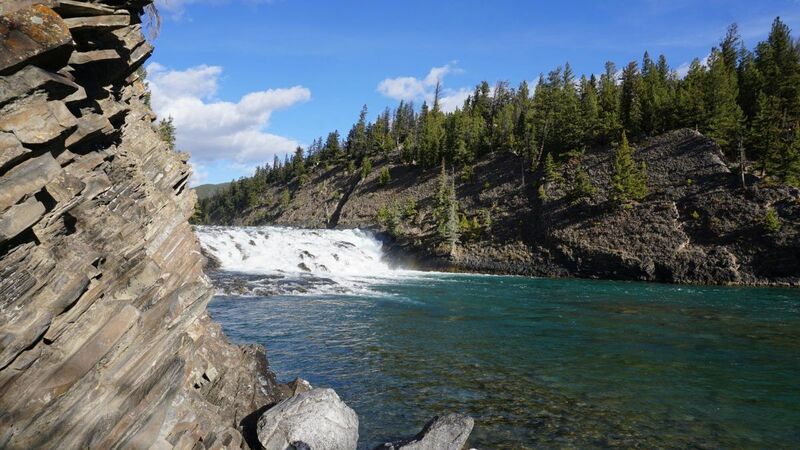 If you are a hiker looking for an adventurous, lasting and significant experience in the wild Rocky Mountains, we recommend the guided hikes in the Yoho Valley(Takakkaw Falls) or to Stanley Glacieror the Plain of 6 Glaciers with views of Lake Louise and Victoria Glacier and the infamous Death Trap. Amazing, but longer hikes into the backcountry take you to Healy Passand the Monarch Remparts, Harvey Passand, if you continue to the top, Mount Bourgeau. We also like to hike up Cascade Mountain via its grand natural Amphitheatre. For great views and steep slopes we particularly recommend the roundtrip via Cory Pass and Edith Pass. Paradise Valley via Lake Annette is exciting as well (the name tells it all) or ghost hunting via Halfway Hut to Skoki Lodge. If you rent a car, I would definitely visit Kananaskis Country (where they filmed Brokeback Mountain) via the dirt road please, as this is not your car and this is the second most beautiful road after the Icefields Parkway. Stop at Chester Lake or hike closer to Mt Assiniboine (the Matterhorn of the Rockies) for a great picture opportunity. If you are lucky you might even be able to visit Lake O’Hara, a valley more beautiful that Lake Louise and Moraine Lake taken together. Unfortunately, you cannot go by car and admittance is limited. You will need a bus ticket. Good luck; they sell like concert tickets! One of the most awesome panoramas with glaciers, meadows, lakes and mountains is from Helen Lake. Speaking of meadows, the Sunshine Meadows are world renown with over 250 different flowers or hike to Helen Lake or Niles Meadows. 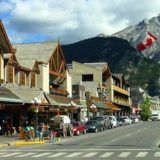 Banff also has a very active cultural scene, with museums, art galleries, and many cultural events. The “Banff Centre” is world renowned for its exhibitions and performing arts. In the evenings, you can enjoy many restaurants, pubs and entertainment venues. At Wild Bill’s Saloon you can enjoy live country music. 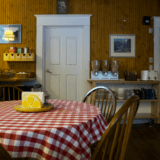 There are also many shopping opportunities with quaint shops and cafes. One of our favorite restaurants is the “Saltlik.” We and many of our guests agree it is one of the best steakhouses we have ever tried. There are many restaurants offering all kinds of worldly cuisine: we recommend “Giorgio’s” for Italian, the“Balkan” for Greek, or “Coyotes” for healthy southern cuisine. There are many Chinese and Japanese restaurants as well, and even a Sushi Train. And for truly Canadian fare, we recommend the “Maple Leaf”, or “The Elk and Oarsman”. We are booking agents for “Discover Banff Tours” and “Holidays on Horseback”. We can arrange to book tours with them or other adventure companies. 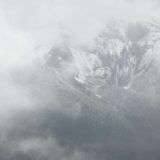 Check out the “Blue Mountain Lodge Facebook” page for more stories and suggestions, also accessible from our Home Page. Just make your choices and we will take care of the details.